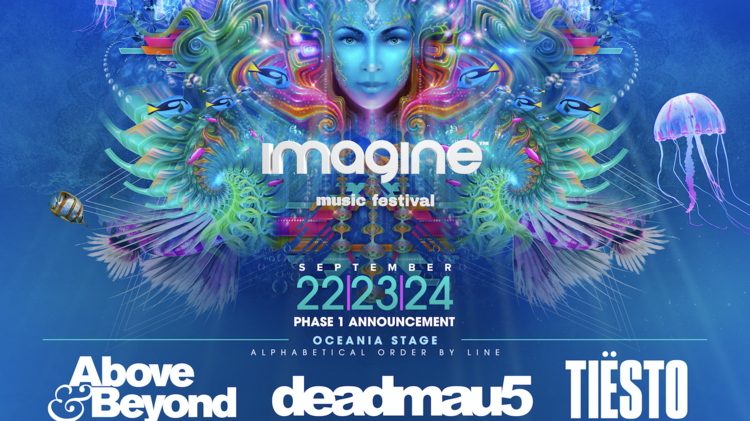 Imagine Festival is returning for its fourth installment at the Atlanta Motor Speedway this September 22nd through the 24th. lovers and dance fanatics will gather in droves for this star-studded Georgia festival, so act fast to get any remaining tickets. Huge acts such as Deadmau5, Tiesto, Pretty Lights Live, STS9, and Flux Pavilion will be performing alongside rising DJs NGHTMRE, Illenium, Deorro, and Claptone. Bringing their intense trance style music from across the pond will be Above & Beyond- be sure not to miss them and a special performance by Rob Garza of Thievery Corporation. General admission and VIP tickets are available now, for information on that, camping, and a full line-up, visit www.imaginefestival.com.